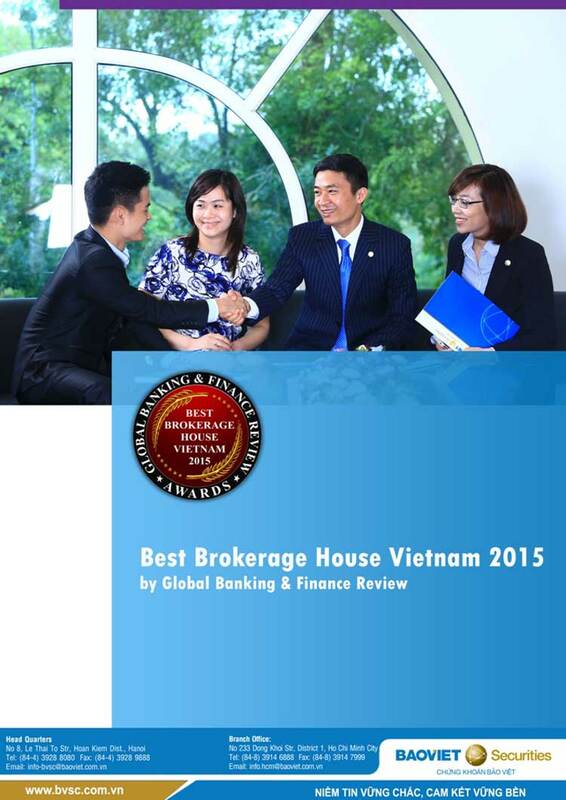 BVSC won “Best Brokerage House Vietnam 2015” award and named among 05 Vietnamese enterprises honored by Global Banking & Finance Review this year. BVSC has been honored to receive “Best Brokerage house Vietnam 2015” award granted by Global Banking & Finance Review – the U.K.-based leading finance magazine – for its 15 years of contribution to the development of Vietnam stock market and outstanding achievements in business activities, especially for its impresive growth in stock brokerage market share. Global Banking & Finance Review is one of the world’s leading online magazines providing in-depth coverage of the international economic and financial community. The Global Banking & Finance Review Awards honour outstanding banks and financial institutions worldwide. The awards, which are based on such criteria as development strategies, innovations and the adaptability of enterprises in the volatile business environment, are created to recognize the enterprises’ achievements and contributions in the global financial community. BVSC has 15 years of operation in the Vietnam stock market, with deep experience, solid fundamentals and an appropriate business orientation. Therefore, BVSC has made steady progress in recent years. In 2014, BVSC recorded impressive results, with revenue and profit exceeding 54.45% and 46.27% over the full-year targets, stock and fund brokerage market share up 35.6% compared to 2013. BVSC is always named in Top 10 securities companies with the biggest brokerage market share on the HSX and HNX.